It’s not just a fad: Cybersecurity represented the largest request for funds in last year’s intelligence budget, according to The Washington Post. Indeed, it is an area for expansion government contractors cannot afford to pass up. Raytheon and BAE Systems are already hunting for cyber companies to acquire, while Global Defense Technology & Systems, Inc’s strategy is already in full force. First of all, GTEC is bolstering its cybersecurity expansion with aggressive acquisitions. Its latest was just last week: Signature Government Solutions, LLC, which it bought for $52.5 million in cash from Signature Consultants, L.L.C. The company also purchased cybersecurity corporation Zytel for $26.8 million in cash last month. In addition to broadening GTEC’s services, President and CEO John Hillen talks about adding depth to GTEC’s intelligence offering and making a “customer footprint within the U.S. Intelligence Community.” One way GTEC is accomplishing this is by winning high-profile contracts – $150 million worth in the third quarter alone. 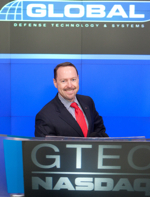 Recent GTEC clients include the FBI, Department of Justice counterterrorism division and U.S. Coast Guard. The $99 million FBI project will involve GTEC supporting FBI’s Security Division/Information Assurance Section (IAS) Information Assurance Technology Infusion Program, work and credentials that can help them win future government contracts. Hillen said the awards mean his company is going strong. “While GTEC experienced procurement delays earlier in the year, we received strong awards in the third quarter which provides significant visibility to revenue in the fourth quarter of 2010 and fiscal year 2011,” he said.